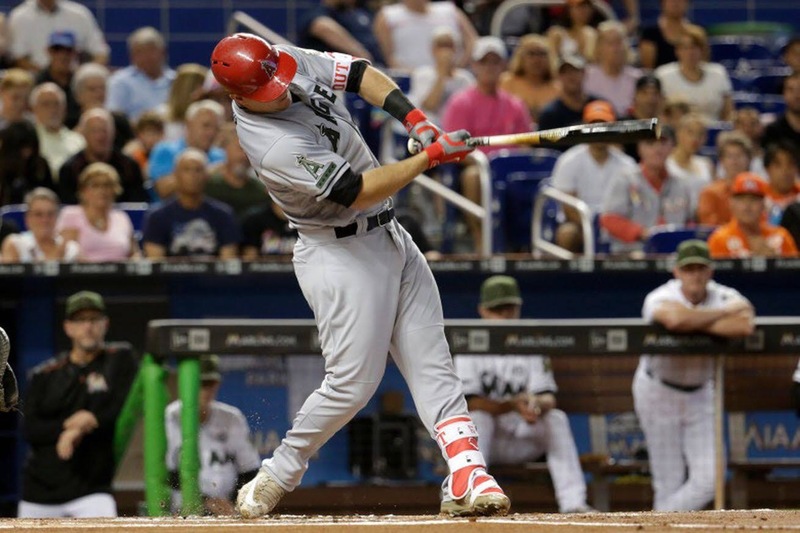 Mike Trout drilled his major league-leading 16th homer of the season, as the Angels beat the Marlins 5-2 on Saturday afternoon at Marlins Park. Trout’s 1st inning solo blast traveled 443 feet into the left field stands, giving the Halos a 1-0 lead. JC Ramirez (5-3) got the win after holding Miami to just 1 unearned run in 7 innings. Jose Alvarez provided an inning of scoreless relief. Bud Norris pitched the 9th and gave up a solo homer to Marcell Ozuna. Norris returned to the mound after tweaking his right knee on Friday night. Ozuna also had an RBI single in the 1st inning to tie the score 1-1. The Angels would retake the lead in the 3rd on an RBI groundout from Andrelton Simmons. Luis Valbuena knocked in a 2-run single in the 8th. Simmons added an RBI double in the 9th to close out the scoring for the Halos. Vance Worley (0-2), pitching his second game of the year, allowed two hits and two runs and likely earned another start despite taking the loss. He threw 63 pitches in 5 innings of work. The Angels improved to 26-26, and are back at .500 for the 12th time this year. Sunday will be the rubber game of the 3 game set. Matt Shoemaker (4-2, 3.97 ERA) on the mound for the Halos, and Jose Urena (2-2, 3.08 ERA) goes for Miami. This entry was posted in Angels on May 27, 2017 by omzzzzz.